Right at the start of this video, of Arctic Monkeys performing "505," Alex Turner can be seen using a Vox Continental Organ. In 1969 photo of his Twickenham home studio, Vox Continental organ is visible. There is a clear shot of Ford setting up the Vox Super Continental Organ at 0:22, and playing it at 1:56. This photo shows Manzarek with a Vox Continental organ. This site states that Cale used a Vox Continental Organ. Doug Ingle's Vox Organ defined Iron Butterfly's signature sound. 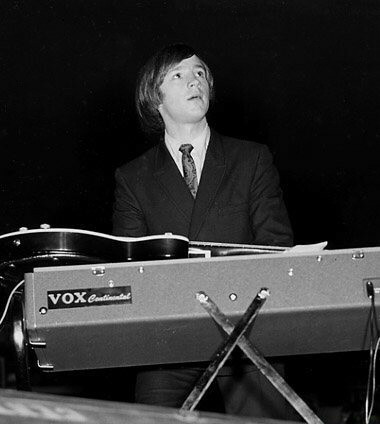 William can be seen playing a Vox Continental throughout the music video for "R.E.S." In the video (e.g. 2:15) you can see Alan price playing a Vox Continental Organ. One of the keyboards mentioned in this article. A Vox Continental was used on the track "Relay," according to the liner notes for *State to State 2*. No reviews or videos yet for Vox Continental Organ. With an Equipboard account you can rate this item, add it to your collection, submit a review to discuss what you like and dislike about it, and associate Vox Continental Organ to artists that use it. Create an account!